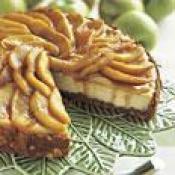 Golden baked apple slices adorn this deliciously creamy cheesecake. 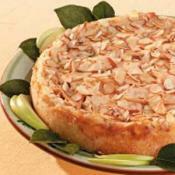 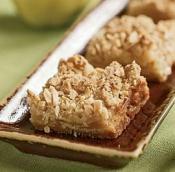 Sweet apples top an almond-infused cheesecake in this ideal fall dessert. 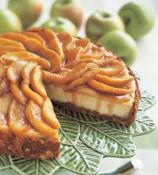 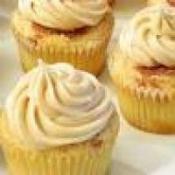 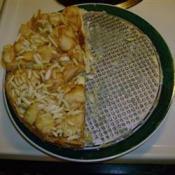 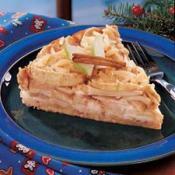 A perfect fall desseert - apples and cheesecake - what could be better?